If running five miles to the summit of Grandfather Mountain in July seems like a daunting task, try comparing that to the monumental mountain of photos Stephen Fletcher and Elizabeth Hull climb as they archive the late Hugh Morton's photo collection. The collection, seven decades worth of one man's images estimated at over a half million slides, photographs, negatives and 60,000 feet of motion picture films, was donated last year to the North Carolina Collection of the University of North Carolina at Chapel Hill by Morton's family. 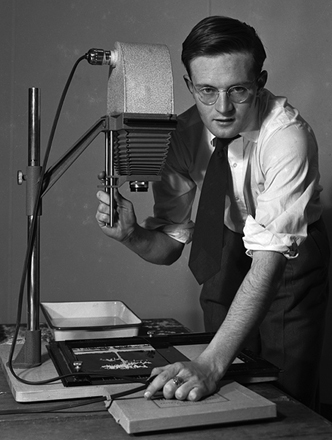 "It is intended to provide information about our progress, to provide glimpses into how photographic archivists work, to highlight interesting discoveries we make along the way, and to foster discussion and input from the many “Friends of Hugh”—residents of the state to which he devoted his life and any other interested parties. Visit often, make comments, help us identify people and places depicted in the Morton photographs, and enjoy treasures from this wonderful and important collection." If you are a North Carolinian with even a remote interest in history, or if you want to see yet another interesting way in which blogs are useful in problem solving, please visit often, especially if you have ties to Wilmington, UNC-CH or the High Country. Catherine Morton, Hugh's daughter, wrote an insightful piece about the process of saving her father's historic images in Grandfather Mountain's newsletter. Here is another great link to a PDF of the "Windows" article chocked full of photos and info on processing the Morton collection. On an interesting side note, Elizabeth Arnold Hull is a Boone, NC native and an ASU archeology major (class of '99). She serves as proof that archeology majors indeed land cool jobs.